A strong Paris Air Show for major aircraft manufacturers contributed to the backlog of global orders rising to a new record of 13,589, worth around £220bn to the UK aerospace industry. 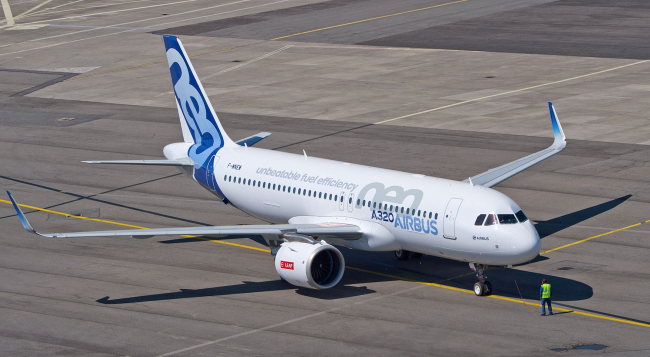 Single aisle aircraft like the Airbus A320neo and Boeing 737-MAX have seen especially high demand, with this category accounting for more than 11,000 outstanding orders. The order backlog for engines rose to a new record too, reaching 24,162 at the end of June, up by nearly 2,000 on last year. The strong order trend shows the global aerospace industry continuing to build on recent records, with the UK aerospace sector – the second largest in the world – set to benefit from a substantial proportion of the total economic value. ADS Chief Executive Paul Everitt said: “The aerospace industry is experiencing strong and sustained growth, both in the UK and around the world. Record order numbers show there are great opportunities to be seized if we can remain globally competitive, boost our productivity and continue to attract investment. “With 120,000 people employed in aerospace in the UK, and many more supported by the economic activity it generates, this industry is bringing prosperity to every part of the country. “We have already achieved up to £13bn in economic benefit from deliveries in 2017, and look forward to completing what could be another record year for the global industry and for the UK. The first half of 2017 saw 664 aircraft delivered to customers, just 10 aircraft below 2016’s record setting production pace. Deliveries of 183 widebody aircraft helped to make this half year a record for the UK in terms of value, with an estimated £11.5bn to £13bn economic benefit from deliveries so far. • Orders at June’s Paris Air Show helped push the commercial aircraft order backlog to 13,589. • The aircraft order backlog is now 50 per cent larger than 2012, and double that of 2010. • Engine order book passes 24,000 for the first time on record. • Deliveries in 2017 worth up to £13bn to UK industry, a record for the first half year.